When I wrote Homeschool Made Easy and Homeschool High School Made Easy, I spent some time explaining learning styles. The learning style theory isn’t perfect, but it is a huge help in simplifying teaching and learning. If you understand how your child learns and if he understands how to effectively study, homeschooling becomes quick and easy. My friend Leah Hastings is passionate about learning styles. We’ve spent a few weeks conversing about how parents can easily identify and utilize these in the home. It’s a pleasure to have her share with you today. When you’re teaching your children at home, you want to be sure you’re helping them learn in the best way possible. 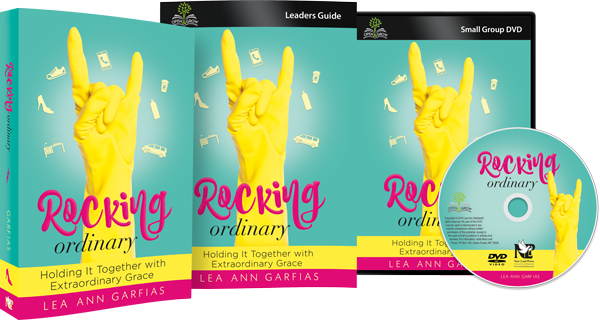 As a homeschooling parent, you want to keep the lessons and resources you’re using relevant with what works for them. Reading a textbook is not necessarily what is going to be the best option for every child. A lot of children learn best using other strategies that have nothing to do with a textbook. In order to make the most out of your children’s homeschooling experience, it’s important to start by knowing what type of learner your child is (if you don’t already) and teach using resources that are best for them. Don’t know what your child’s learning style is? Check out the types of learners guide below to find your child’s style. 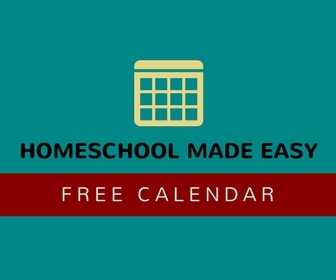 Once you know their learning style, utilize these resources to make your homeschool day worthwhile. A child with a visual learning style learns best by seeing. Try utilizing educational movies or videos for your next lesson. A movie can be a great way to learn. Check out Pure Flix to substitute homeschool curriculum with a movie, educational show, or documentary. I love substituting a history lesson with a good educational movie. It’s one thing to read about the history of the world, but it can be so interesting and help drive a lesson home seeing it happen through a video. YouTube is another great resource to look up a quick video to supplement with the lesson you are on. A visual learner does well when seeing a lesson demonstrated, so you could even set up an experiment in your home to have them learn while watching you do it. For them, seeing what you’re talking about will make everything click. An auditory learner does best with hearing information, so let them learn using their ears as much as possible. It can also be helpful to make rhymes or songs up to learn the information so they can repeat a phrase and say it out loud. Does your child have a favorite song they can’t stop singing? Change the lyrics to be from what you learned that day, and they’ll have it down in no time. You can put on an audiobook for your next lesson, or have them repeat important phrases after you when you’re teaching. Repetition can be extremely useful for an auditory learner, and you’ll be surprised how much they’ll remember after repeating something just a few times. You can also have your child read a passage from their books aloud, or even listen to you read. If you have multiple children with similar reading levels, try popcorn reading, where each person takes turns reading a paragraph at a time. Reading along while also hearing the content will be helpful. If your child learns best by reading and writing, have them take notes during your lessons. It will help them to retain information and to be able to look back on it later. You can even have them write a summary at the end of each day based on what they’ve learned. When it comes to studying or going over the lessons, have them make flashcards. Flashcards are awesome for your reading and writing learners, because they’re reviewing the information once when writing it down, and again when reading them back. They can even try studying with these online flashcards on quizlet. Using worksheets can also be a great way for your child to learn. They get the chance to write during your lesson. Try out these reading worksheets and printables for your next reading lesson. If you put on a movie, you can have your child answer critical thinking questions on a worksheet to keep their mind stimulated. If you’ve got a kinesthetic learner in your household, they learn best through hands-on activities. Take advantage of using their senses. Hands-on learning can be so fun, your child might just forget they’re even learning (and you might forget you’re teaching)! Science can be a great subject for a kinesthetic learner, so try out one of these hands-on science experiments for kids. Another great resource for a hands-on learner is play-dough. If you’re teaching letters, have your child make the letter out of the dough, or teach shapes in your next math lesson. Another great way to teach your kinesthetic learner is to go on a field trip. Get out of the house and get moving to keep your child engaged in what you’re learning. Don’t know where to start? Check out this list of 50 homeschool field trips for ideas on where you can go with your kids. A kinesthetic learner doesn’t like to sit still, so get moving! These are just a few resources and activities you can use with your children based on their learning styles. You and your kids will learn what works for you as you go, and you can always change things up to keep everyone interested. No matter what kind of learner you have, make sure to take brain breaks throughout the day. Turn on a fun song and dance it out, or play a game in between lessons to keep your day productive for both you and the kids. If you see your child responding well to a certain way of teaching, keep it up. And if you can tell your child isn’t engaged, talk to them and see what their thoughts are on what you could try next. Your children’s learning style might change over the years as well, so be willing to adapt. It’s easy to get caught up in the structure of learning that you’re used to but don’t be afraid to try something new. Your teaching style and your student’s learning style combine to make your homeschool unique. Once you identify your purpose and goals, you can use any materials and any schedule to be successful and stress-free. It’s easy! 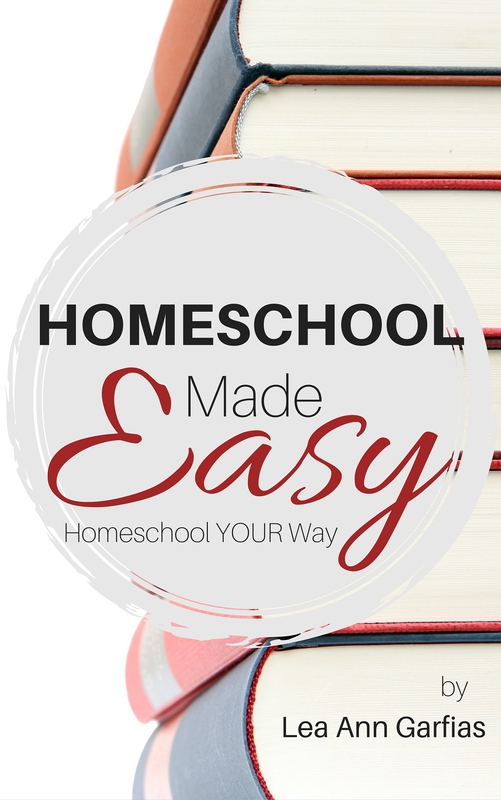 Find out more in Homeschool Made Easy and Homeschool High School Made Easy.